I spent some more time grooving the rails and the other stiles. 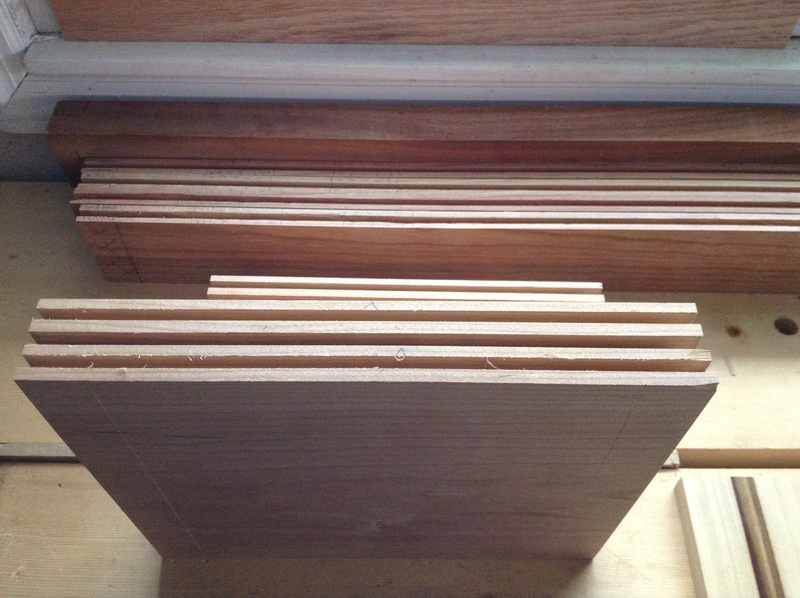 Next, I set my marking gauge to the width of the groove, and marked out for the tenons on the rails. 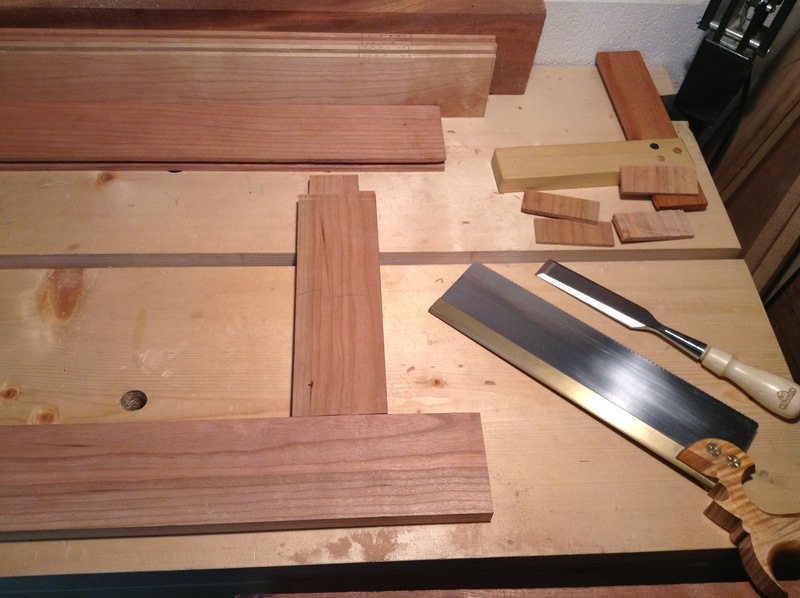 Cutting the tenon on the smaller rail was fairly easy…just a little bit of cleanup to get a good fit. The larger rails were a different story. They are a little more complicated. 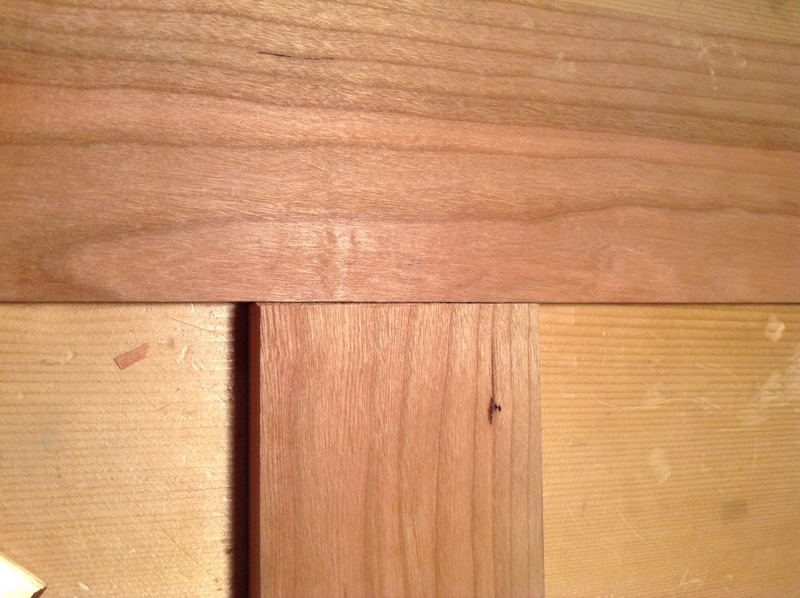 This rail consists of two tenons with a stub tenon in between, and a haunch at each end. Getting all this to line up and fit took more cleanup than I had wanted. The hardest part was cutting the shoulders of this larger rail. At this point in the project, the rails are 12″ wide. 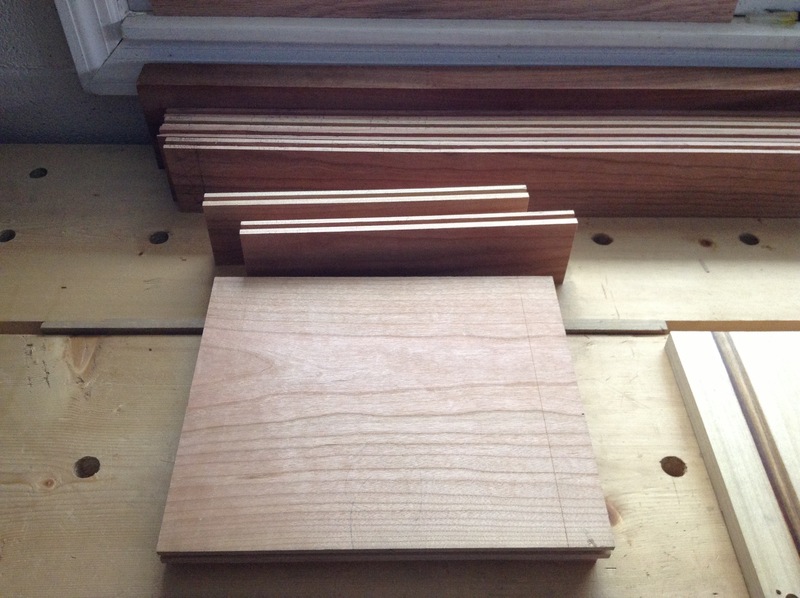 Cutting a straight and square 12″ shoulder is quite difficult. A couple of times, the saw jumped out of my cut line and scarred the face…but a little clean up later will fix that. 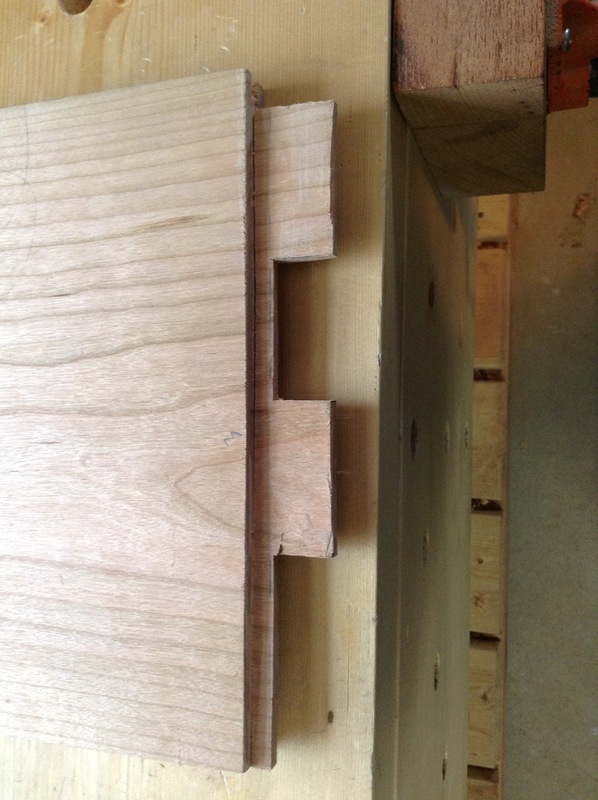 In addition, I don’t have a shoulder plane to correct an off-square cut…so it took me a while with the chisel. In the end though, I had good fitting tenons. 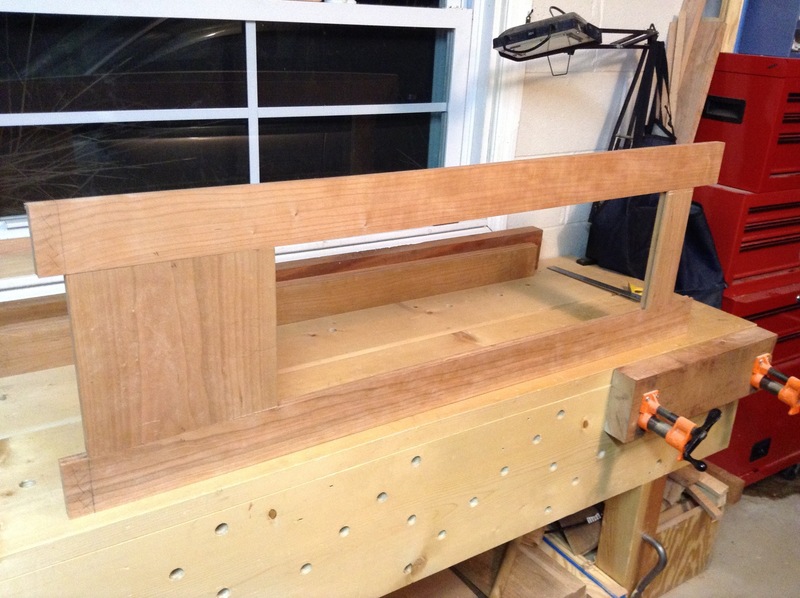 This entry was posted in Chiffonier, hand tools, VCF, woodworking and tagged chiffonier, hand tools, mortise and tenon, woodworking by villagecustomfurniture. Bookmark the permalink.